Metro Non Woven Bag - Express Corporate - Promotional Products - Delivered Fast! 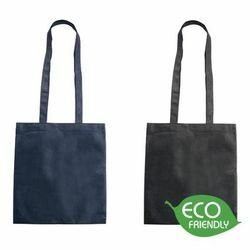 Low cost environmentally friendly non woven shoulder bag. Biodegradable material. Perfect for conference and trade shows. Price includes a one colour print. 80 Gram.